This year, U.S. consumers will spend $12.3 billion on baby food and personal care products. By 2022, the category is forecast to grow 11.8% to $13.8 billion. This is a significant market that CPG firms are keen to address. 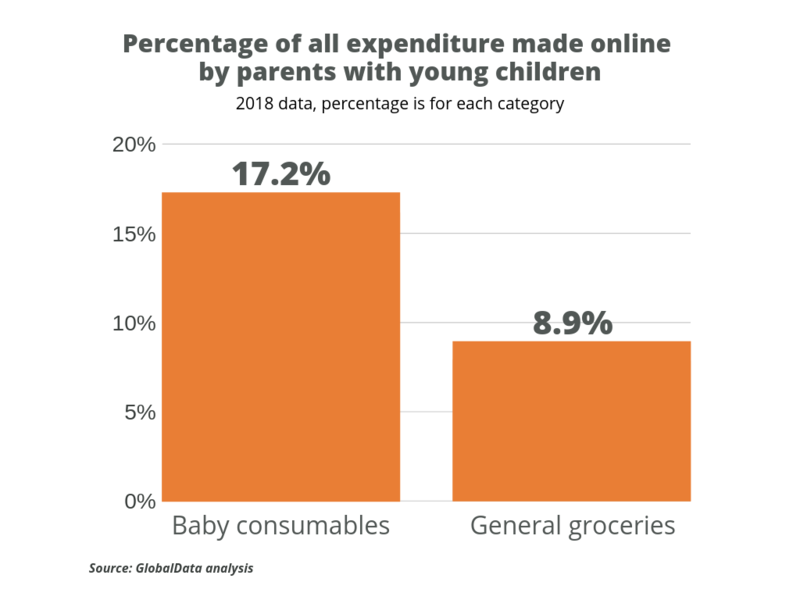 However, like other segments, the market for baby products is being disrupted by the rise of digital – where the needs of busy parents are creating some unique shifts in how products are bought. Here’s what big-name baby and child care companies such as Abbott Nutrition, P&G, Kimberly-Clark, Johnson & Johnson and Nestle need to know to win online. When it comes to overall grocery, around 5.5% of sales are made online. However, for baby consumables, the online penetration rate is currently 17.2% – and it continues to increase at a rapid pace. There are several reasons for this gap between grocery and baby. Foremost among them is the fact that many parents of young children are busy, which makes shopping for essentials inconvenient. It is also a hassle to take small kids into stores. For these harried consumers, buying online is a natural solution that saves time and makes the process of shopping more pleasant and convenient. However, the dislike of shopping in stores is not the only factor at play. The penetration rate for general online grocery shopping among parents of infants is more elevated than for other segments of the population, but it is nowhere near the level of penetration for baby categories. One of the other factors driving spend online is the habitual nature of buying baby consumables. Evidence suggests that parents are very careful in initially selecting baby brands and products; a lot of time is taken looking at things like ingredients and formulations. However, once a brand has been selected and there is confidence in it, switching is not particularly frequent. This makes the category particularly suited to online, where regularly-bought items can be quickly added to the cart and ordered. Frequent purchasing also makes the baby category suitable for autopilot consumption – the process by which consumers sign up for regular deliveries of items at scheduled intervals. This kind of service is particularly popular for regularly-used items like disposable diapers. As is the case in other categories, the use of a subscription service discourages product switching. In effect, it locks consumers into the brand they are using, at least for a time. 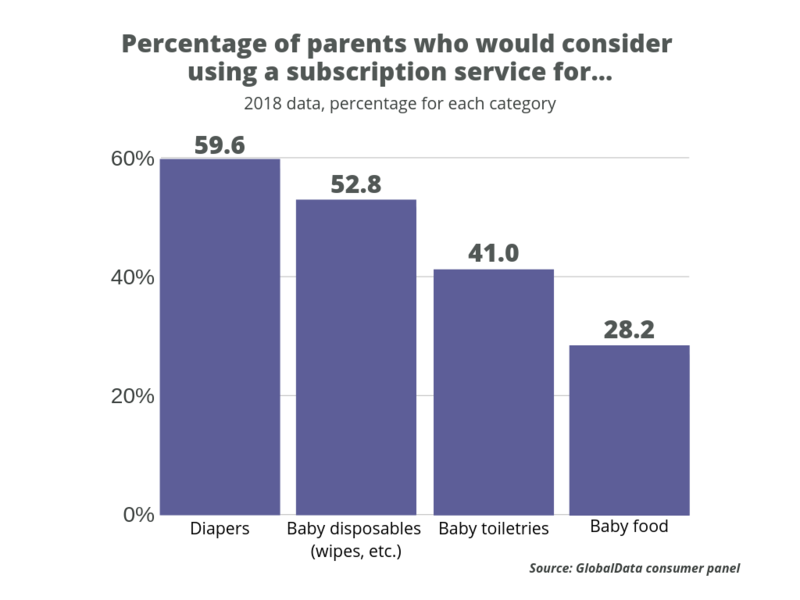 On average, those using a subscription service for baby consumables are 2.8 times less likely to switch brands than those who buy in a regular way from stores or online. "Those using a subscription service for baby consumables are 2.8 times less likely to switch brands than those who buy in a regular way from stores or online." 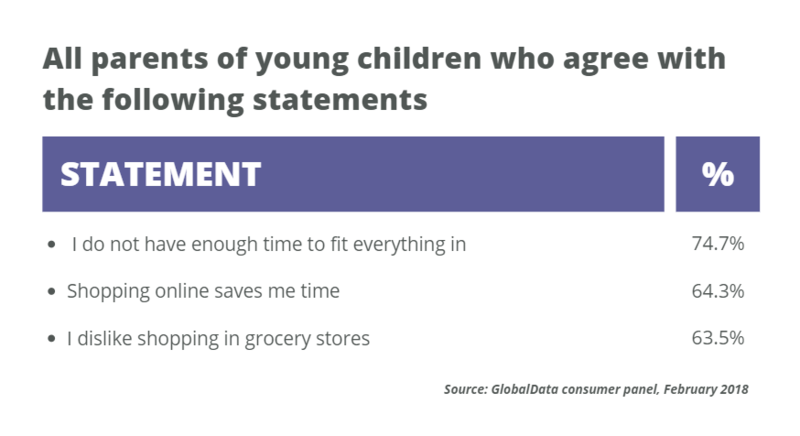 What’s different about the baby care category is that while switching is less likely, autopilot consumption does not create as much of a long-term hold on shoppers as it does in other categories. There are two reasons for this. First, as babies grow, parents need to make changes to what they buy in terms of food types, diaper sizes, and personal care formulations. This necessitates a fresh round of research, in which new brands have an opportunity to displace the labels previously chosen. Second, even when they are locked into a subscription, many parents – especially new ones – will actively look at baby products online out of interest and curiosity. This exploration is much stronger than for functional grocery categories like laundry detergent and trash bags. Again, this gives other brands a chance to displace those chosen for the subscription. 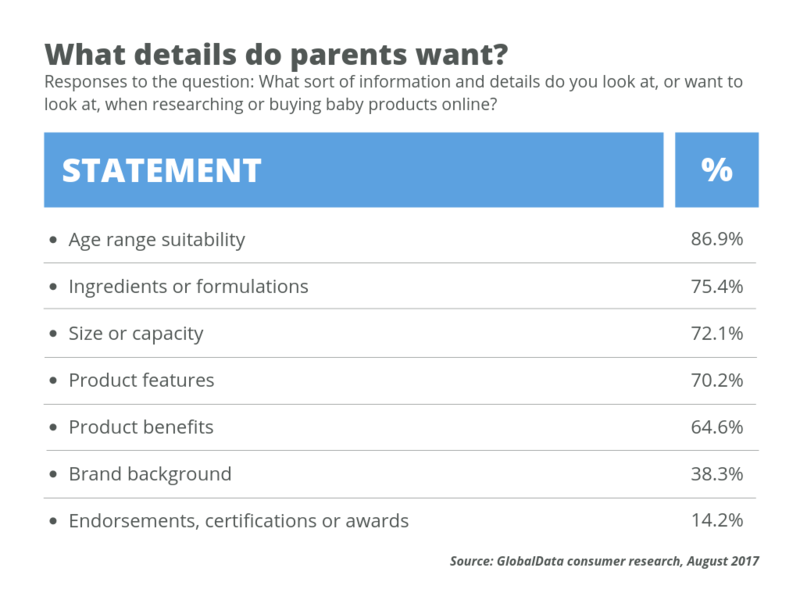 The fact that parents do a lot of online research on baby products means that brands need to ensure they are providing the information and detail of interest. One of the things of most concern is ingredients and formulations. Here, parents like to know what is in the products they’re buying, as well as that they are free of harsh or unnatural chemicals. Product benefits and features are also popular areas of research, while a clear indication of the age ranges the product is suitable for is also vital. Indeed, when it comes to gripes about looking at baby products online, a lack of clear information about the age suitability of products tops the table. 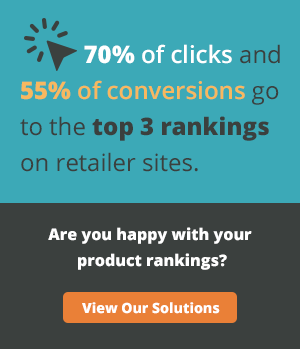 Brands that do not have easy-to-use websites with clear detail on products are at a major disadvantage when it comes to converting shoppers. Brands must also ensure that the online retailers carrying their lines are conveying product details in an appropriate way. 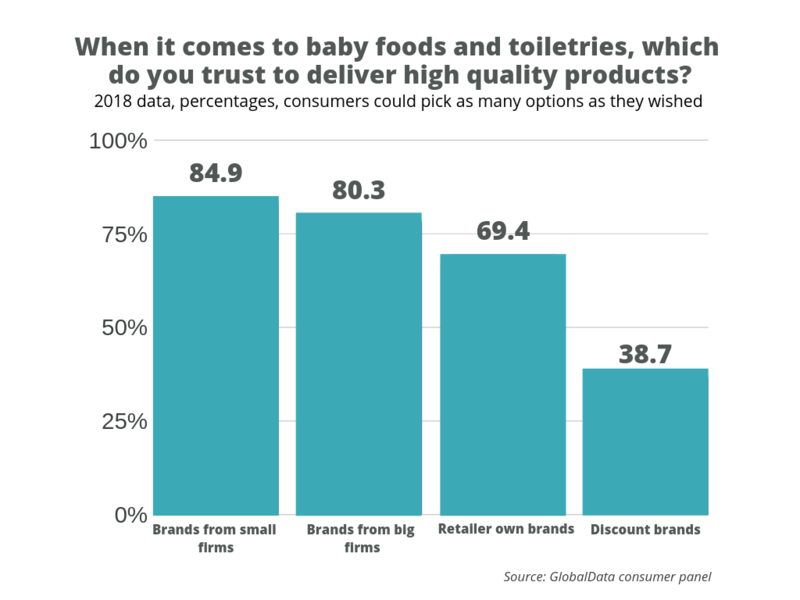 The good news for big CPG firms is that when it comes to baby consumables, major brands are more trusted to provide high-quality products than retailer-owned brands. However, the bad news is that some niche firms, like The Honest Company, have created powerful brands that are seen as authentic and wholesome – which represents an increasing challenge to the large CPG players. Interestingly, The Honest Company started as an e-commerce venture, selling subscriptions for baby care products in the United States and Canada through its website, without a physical presence. Honest relied on Facebook for efficient advertising instead of big, expensive national campaigns. Recurring monthly deliveries now account for 60% of Honest’s digital sales. Honest is a perfect example of how to use digital to take advantage of the various trends and dynamics of the baby consumables market. Having a dedicated online presence is not negotiable; that’s where consumers are, and it’s where brands need to be too. Consumers are looking for a mix of information and convenient shopping options when online; brands need to provide both – or partner with retailers that can provide both – if they are to succeed. Product clarity is vital online; the digital space is crowded with options, so being able to quickly see key details like pack size and age suitability matters to consumers. Inspiration is a part of the mix; new parents are excited about their children and are interested to learn about the different products available. Brands need to communicate this in a way that matches this enthusiasm. Free online samples can be a great way to engage with parents and get them to try out new products before taking regular subscriptions.